The IMAGE Tower (Innovation in Multimedia, Animation, Gaming & Entertainment) is all set to make Hyderabad the preferred destination for animation, visual effects, gaming and comics industry. “IMAGE Tower is going to be the country’s largest such facility in terms of size with 1.6 million sqft and I hope it would be able to come out with our own DreamWorks Animation and Disney”, said Minister for Information Technology K T Rama Rao. 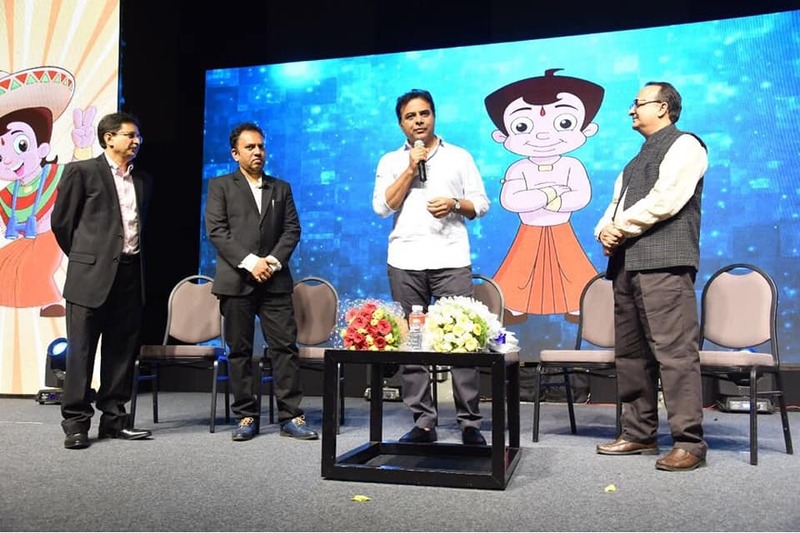 Speaking at the 10th year celebrations of Chhota Bheem, an Indian animated television series here on Monday, Rao said that there are many studios across the globe but what would be a truly redefining moment for Indian animation industry is when someone like Rajiv Chilaka builds India’s own DreamWorks Animation and Disney. “Coming up with not just one character, or not one entity, or not just one series, but truly coming out with a product or studio which can literally take huge animation industry across the world and that is when we truly make a mark in animation industry and Rajiv Chilaka has the ability to do it”, he said. Talking about Chhota Bheem, he said that his children are fans of this series and even he is well aware of all the characters in it and Kalia is his favourite. “Makers are not only able to capture the imagination of children but have come out with a character which lets parents leave their kids in comfort while watching it”. Having debuted in 2008 on kids entertainment channel Pogo, Chhota Bheem celebrated one decade in television. Rajiv Chilaka said it took five years to make the idea work. It became a game changer in Indian animation industry, he said, while adding that it began as a small step and went on to become 16,000 plus minutes content.